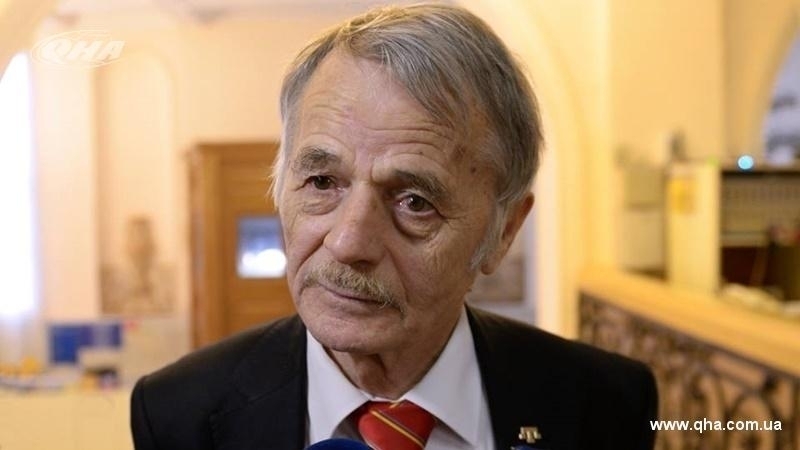 The Presidential Commissioner of Ukraine for Crimean Tatar people Mustafa Dzhemilev noted that the children of the indigenous people of the Crimea have the right to study in their mother-tongue. Mustafa Dzhemilev believes that Ukraine was acting not quite cleverly, having passed a law on education without recommendations from the Venice Commission. The bill should have been sent to the European Commission for Democracy through Law for making appropriate changes to it, Dzhemilev told the correspondent of QHA. “If we want to become a member of the European Union, then our laws must comply with European standards. And now it went the other way round - we adopted a controversial law on education, which came into force. And this caused protests of some countries, and, quite well-grounded. Hungarians and Romanians were outraged. Later, they presented the draft resolution to the PACE, but I would not say that it was formulated in harsh colors, but, on the contrary, the document was sustained in a rather diplomatic style," Mustafa Dzhemilev said. Dzhemilev further noted that countries opposing the draft law expressed their disagreement about article 7 of the law on the language of education, which states that national minorities can be taught in their native language only up to the fourth grade, and then classes should be held in Ukrainian, and suggested further creating electives or classes for learning different languages. “But if children do not study the subject in their own language, then their language becomes flawed. Frankly speaking, the Crimean Tatar language was in this situation. And the desperate real fight of Refat Chubarov for the introduction of the term "indigenous peoples" will allow us to study all subjects in the school in the Crimean Tatar language up to grade 10. We call ourselves an indigenous people, but the law clearly stating that the Crimean Tatars are an indigenous people has not yet been passed. Today, the President and the Cabinet understand that the Crimean Tatars are an indigenous people. But what will happen when other people come to power and ask: "Why do you think you are an indigenous people? Where is the corresponding law?" the people's deputy asked. According to Mustafa Dzhemilev, the law on education is a real threat to the Crimean Tatars. After all, this law is even worse than the Russian law, which stipulates that national minorities in the national republics have the right to study up to grade 10 in their native language. “Of course, nobody observes it in Russia, as well as many other laws, but they have it registered, as it corresponds to European standards. Also, let’s note that, only 11 people from the Ukrainian delegation voted against the law on education in the Parliamentary Assembly of the Council of Europe. Ukraine shouldn’t forget that our allies, who at one time voted for sanctions against Russia and against the occupation of the Crimea, are sitting there. And when the issue concerns them, we are kind of against them," Dzhemilev said. In his opinion, Ukraine can not afford such luxury as ill-treatment of its neighbors. Moreover, we should not forget that in the future the Ukrainian authorities will have to negotiate with Romania and Hungary. Earlier, according to the results of the debate, most of the proposals of Romanian and Hungarian deputies were approved in the PACE. In particular, Hungarians and Romanians opposed the idea of "mixed studies" with teaching 60% of subjects in Ukrainian, and 40% - in the minority language. Also, all references to the fact that studying "exclusively in the minority language" (without teaching part of the subjects in the state language) is detrimental to the children themselves due to the reduction of their competitiveness in the labor market and possible problems with entering higher education institutions, were removed from the document. Furthermore, the Assembly asked Ukraine to take into account all recommendations of the Venice Commission on this law without exception. 82 deputies voted for the adoption of the document, as amended, 11 voted against and 17 abstained. On September 5, the Verkhovna Rada adopted a law "On Education" by 255 votes, which, in particular, regulates the use of the Ukrainian language in the sphere of education. The law provides for a transition period for children who are enrolled before September 1, 2018 and are currently studying in minority languages before September 1, 2020. Since September 1 of the next year, children can receive preschool and primary education in the language of the corresponding national minority, while studying the state language in parallel. From the 5th grade children of national minorities will begin to study in the state language, and the language of ethnic minorities will be studied as a separate subject. If the language of national minorities belongs to the languages of the European Union, it is also possible to teach one or more disciplines in it. The official bodies of a number of countries that have a large diaspora in Ukraine have protested against the adoption of this law.